The Mumbai Indians are coming off a win against the Royal Challengers Bangalore which ended with a controversial no ball of the last ball. The Kings XI Punjab are coming off a game where Andre Russell blew them out of the game after a missed opportunity through a no ball since they had just 3 fielders in the circle. Mumbai Indians will look take some confidence from their performance and will look to get on a winning streak. The Kings XI Punjab as well will be looking to sharpen up and focus on the smaller aspects and start with a victory at home. Looking at the head to head stats, these two teams have played each other on 22 occasions out of which the Mumbai Indians have won 12 games while Punjab has won 10. At Mohali, they have played 7 games out of which Mumbai have won 4 and Punjab 3. However, the last time the Kings XI Punjab won against Mumbai at Mohali was back in 2011. KL Rahul, for the Kings XI Punjab, will be an important player who will be looking to put up a match winning performance having missed out in the first 2 games. He scored a 16 ball 51 at this venue last year and will be hoping to replicate that kind of a performance. Rohit Sharma, for the Mumbai Indians, looked good in the game against the Royal Challengers Bangalore getting 48, but he is the kind of players who likes to go really big once he is set. He has also done very well for India in the limited overs format at this venue and hence Mumbai Indians will be looking at him to get a big one. Kings XI Punjab will look to get back Mujeeb Ur Rahman who is expected to be fit for this game. Hence, they will also look at bringing back Ankit Rajpoot as well considering the Mohali pitch. The Mumbai Indians on the other hand will look to keep the same side after the victory against the Royal Challengers Bangalore. The Mohali pitch is expected to be a high scoring game and will assist the pace bowlers early on. Mumbai Indians look the more settled and balanced out of the two teams and will start favorites. 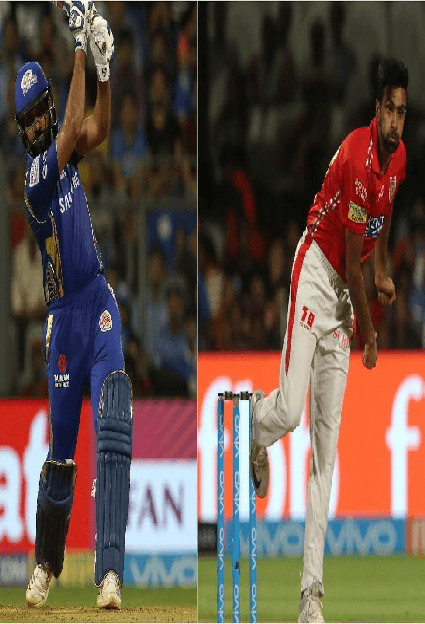 The Kings XI Punjab rely heavily on the openers to get them across the line and once again, they will need at least one of KL Rahul or Gayle to get a big score on the batting friendly pitch to stay competitive against the Mumbai Indians. The Kings XI Punjab should look to play out Bumrah and not give him wickets which will allow them to attack the other bowlers who have not posed major threats in this year’s IPL. The Mumbai Indians should look at getting KL Rahul and Chris Gayle out early on which will be a major setback for them. Pace bowlers should look to utilize the early swing that might be on offer at Mohali to KL Rahul who can be tentative outside the off stump early on in the innings. Chris Gayle in recent times has been bowled of pace bowlers a number of times and hence they should be looking at unleashing Bumrah straight away bowling stump to stump along with the odd short ball.